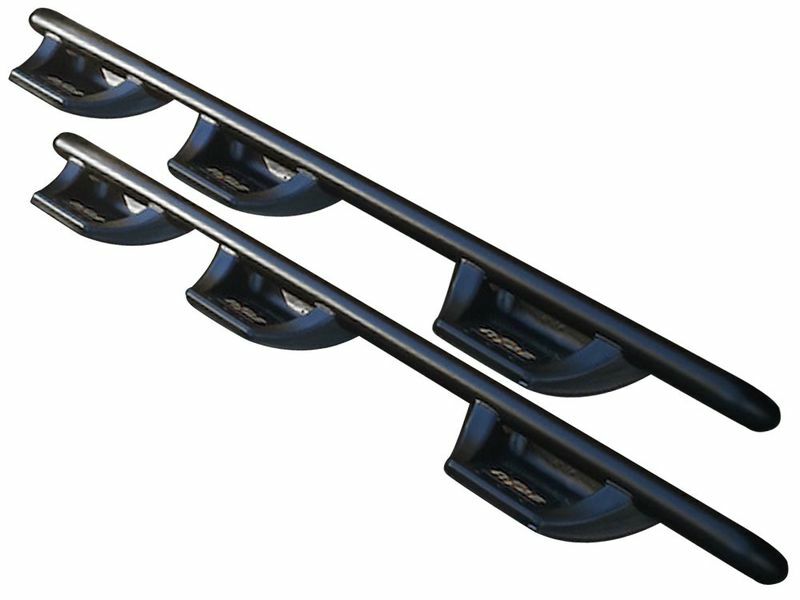 The N-Fab N-DuraStep Nerf Bar is made with a thick-wall steel so it can handle any abuse given. The N-Fab N-Durastep Bed Access provides a slip resistant step for each door and the bed. Additional Step Is Perfect For Access to Goose-Neck Hitches and Tool Boxes. The N-DuraStep Nerf Bar is Positioned Tight to the cab for a better fit and cleaner look. The N-DuraStep has an oversized step surface that goes into a pocket to give you more stability on your way in and out of the vehicle.